Washington Law requires all car and truck drivers to carry liability auto insurance coverage. It is illegal to drive without auto insurance. See RCW 46.30.020. At minimum, the insurance policy must cover at least $25,000 of injury damages if someone causes a crash and hurts one other person. If someone causes a crash and hurts 2 or more people, the insurance policy must provide at least $50,000 to be shared between all injured parties. We recommend that drivers carry more than the minimum required by law. 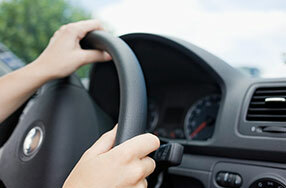 For more information on auto insurance, see our page, The Ins and Outs of Auto Insurance. In many cases, $25,000 or $50,000 is insufficient to fully compensate those injured in a car crash, depending on the amount of medical bills, lost wages, pain and disability. Even though it is against the law, sometimes there are people on the road who don’t have any insurance. Underinsured motorist (UIM) coverage is a type of coverage obtained through your own auto insurance company. UIM coverage kicks in if you are injured in a car crash caused by someone else’s negligence, and either (1) that person does not have auto insurance, or (2) that person’s auto insurance policy does not provide enough coverage to fully compensate you. We recommend that all drivers have UIM coverage. Generally we recommend a minimum of $100,000 in underinsured motorist coverage. While the State of Washington does not require drivers to carry UIM coverage, it is often in your best interest to do so. Underinsured motorist coverage is important because, if you are injured in a crash caused by someone who has insufficient insurance coverage, it is often unrealistic to pursue recovery beyond the person’s insurance policy limits. After the negligent driver’s insurance company has paid its policy limits, the insurance company is usually off the hook for additional compensation. Any additional recovery must be collected directly from the negligent driver, and most people simply do not have the money to pay large sums out of pocket. Even if you are awarded a large judgment in court, you cannot collect what the defendant does not have. UIM coverage also comes into play in the hit-and-run collision context. If you are injured in a hit-and-run crash and are unable to identify the negligent driver who fled the scene, you are likely entitled to recovery from your UIM policy. Absent UIM coverage, you are at risk of being left uncompensated for injuries caused by another driver’s negligence. How Do I Make a UIM Claim? As soon as the crash occurs, we recommend that you notify your own insurance company right away. Many insurance policies require prompt notice the UIM carrier in order to obtain compensation. Otherwise, your insurance company might try to deny coverage. Most of the time, you must recover the negligent driver’s insurance policy limits before receiving compensation under your UIM policy. If the other driver does not have insurance, your UIM carrier will probably require evidence that the other driver was uninsured before the paying UIM benefits. UIM coverage is considered secondary to the other driver’s liability coverage. If you receive a policy limits offer from the liability insurance carrier, you should obtain the consent of your UIM carrier before accepting the settlement. If you accept the liability policy limits without first getting approval from your UIM carrier, you may lose the right to recover additional money under the UIM policy. This type of procedural hurdle exemplifies why it is wise to have a lawyer handle your case. After obtaining the liability policy limits, or providing proof that the negligent party has no insurance, your own insurance company “steps into the shoes of the defendant.” Your insurance company becomes responsible for the balance of your uncompensated damages, up to your UIM policy limits. Unfortunately, however, most insurance companies seek to pay the minimum amount possible. To recover under your UIM policy you will have to prove the other driver’s fault and the extent of your injuries, just as if you were proceeding directly against the other driver. Without a qualified attorney, you may end up receiving for far less than you are entitled to under the UIM policy. In addition, there are specific procedures you must follow to file a UIM claim. If you don’t follow them, you could waive your right to any compensation at all. Amy is injured in a crash caused by Bart’s negligence. Bart has $25,000 in liability coverage, but Amy’s claim is valued at $75,000. Amy has $100,000 in UIM coverage. Amy would be entitled to recover $25,000 from Bart’s insurance company, and the remaining $50,000 from her own insurance company under the UIM policy (total recovery $75,000). Cal is injured in a crash caused by Daria’s negligence. Daria has no insurance. Cal has $500,000 in UIM coverage. Cal’s injuries are severe and his claim is worth $450,000. Cal would be entitled to recover the full $450,000 under his UIM policy. Ellen is injured in a crash caused by Frank’s negligence. Frank has $25,000 in liability coverage, but Ellen’s injuries are severe and her claim is worth $300,000. Ellen has $100,000 in UIM coverage. Ellen would be entitled to recover $25,000 from Frank’s insurance company, and an additional $100,000 from her own insurance company (total compensation $125,000). Since the value of Ellen’s claim exceeds both insurance policies combined, Ellen will not likely be able to recover the full value of her claim.